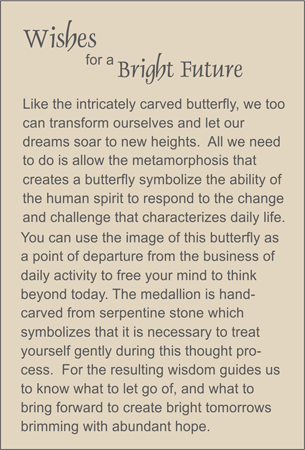 A hand carved carnelian butterfly, which represents the ongoing transformation that humans must achieve for a bright future, is the focal point in this necklace. Smooth rock quartz crystal beads and ellipses allow the bright orange color of carnelian to take center stage. Sterling silver toggle clasp.